Portland is home to some of the most crafty and talented people in the country, and homemade goods are important when it comes to not only protecting the small businesses that populate our community, but also protecting our planet with resources that are natural, healthy, and good for our homes. That’s where Geoffrey and Valerie Franklin come in—the owners of Walnut Studiolo, Geoff and Val are a tag team couple that runs a leather goods shop in Portland, where they create amazing pieces from scratch! 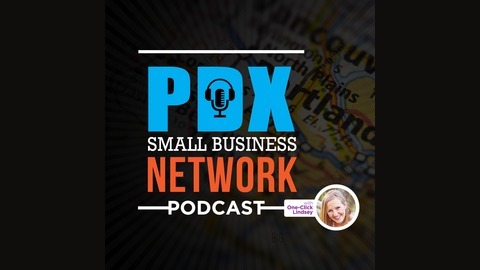 This week, I have them both on the podcast to talk all about their amazing shop, how they got started, and the sort of pieces they make that serve not only the Portland area but the country as well! 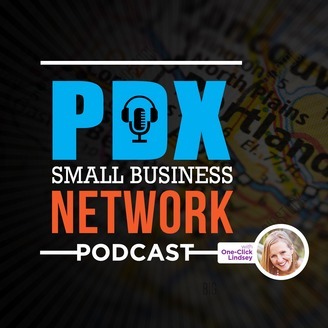 Tune in as we discuss the heart of the Portland area, small and locally owned businesses, and why they’re such an important staple in a place that focuses on community, and team building. Let’s get started! How Geoff and Valerie got this business started! They work together to create an old-fashioned mom and pop shop sort of atmosphere, and they each have their own area of expertise. Valeria handles customer service, shipping, logistics, and website management. Geoff is in charge of coming up with ideas, and bringing them to life! He’s the chief designer and maker, and crafts every piece from scratch. Geoff and Val tell us where their name, Walnut Studiolo, came from! Geoff says that he read the word “studiolo” in a book, and it stuck into his head. Studiolo is actually an Italian architectural term, referring to a private studio and office space, and it seemed to fit their aesthetic. The cute aspect that defines the “little” studio is also relevant to how the business itself got started! Val and Geoff tell us how the business itself got started! Geoff began his journey by making bicycle accessories for himself, as a bike commuter. His bike became super important in his life, and he spent a lot of time looking for things he could personalize on his bike—however, the materials used were things he wasn’t a fan of. With a history of growing up on a farm and caring for horses, Geoff was already familiar with leather, and combining that crafting skill with his need for new bike accessories got him started. Once he was making prototypes, Val asked him if she could put some of them on her Etsy should. She did, and within a couple of months, the first prototype sold! Val talks to us about how their Etsy shop took off. They were started at the beginning of the recession, and they were unsure of what would happen. After making their first sale in a couple of months, they found out that one of the biggest bike hubs in the Northwest, Bike Portland, held a bike craft fair every year. They set-up a table there had a blog post written about them, and their business seemed to take off! To this day, their Etsy shop is still running, and provides about half of their sales, with the other half coming from their online store. Geoff talks to us about his process, stating very clearly that everything is handmade and hand stitched. Through the use of exact blades and straight edge, he explains that his process is as old school as you can imagine. They purchase their hide from a US tannery—only a small percentage of hides are tanned in the US—and from there, he cuts the leather, hand dyes everything, gets the leather edged and glossed, and pieces it together into something wonderful. Val and Geoff talk to us about the products they use to create their pieces, stating that they mostly use leather and wood. They’ve also experimented with brass and metals as well. The business itself started out with them just making things for their own use, but since then, it’s evolved into a variety of products that people can use. They find that they’re constantly replacing things that are mass produced with things they can make better through their own materials, and those things often get morphed into highly refined and highly vetted designs that get offered to the public! They are their own guinea pigs. Val and Geoff talk to us about their cannabis series! Made in celebration of the legalization of recreational use of cannabis, they both knew it was coming, and they worked on a number of products. With their slogan leading the way—”we go from ‘far out, man’, to ‘well done, sir,”—they aim to take the stigma of hiding your cannabis-related products away. By talking to customers, family, and friends, it’s an open and honest way to bring up the subject, and be honest and open about using it recreationally. Val and Geoff talk to us about their best selling products! First, there’s a bicycle bench that’s designed to carry a six pack of beer on the back of your bicycle. However, it has multiple uses, and they often receive photos and emails from customers showing them exactly how it makes their lives easier! Additionally, they create a frame handle for bicycles that Geoff states are the product that he’s put the most energy, though, and design into. It took 2 years to bring it to life, and they launched the product on Kickstarter to get a good foundation. Afterward, the Museum of Modern Art picked it as one of their favorite products! Val talks to us about how they manage their business, stating that they’re very focused on SEO and referral traffic. They prefer earned media rather than advertising, and honestly, don’t do much in ways of paid ads. They’ve benefited from word of mouth traffic, though they’re still constantly adapting to the latest trends. Did Geoffrey and Valerie not get to answer a burning question on your mind? No problem! You can get ahold of them at this email, or through the social media listed above. Handmade goods are an important staple of our community, and the way we do business, and the incredibly well-crafted goods that Geoff and Val make at Walnut Studiolo are well worth the cost. Browse through their collection to see if they’ve got something for you!